Who knew the world of fashion could be so strained and dramatic? But that’s exactly what it is for the world renowned dressmaker depicted in ‘Phantom Thread’. 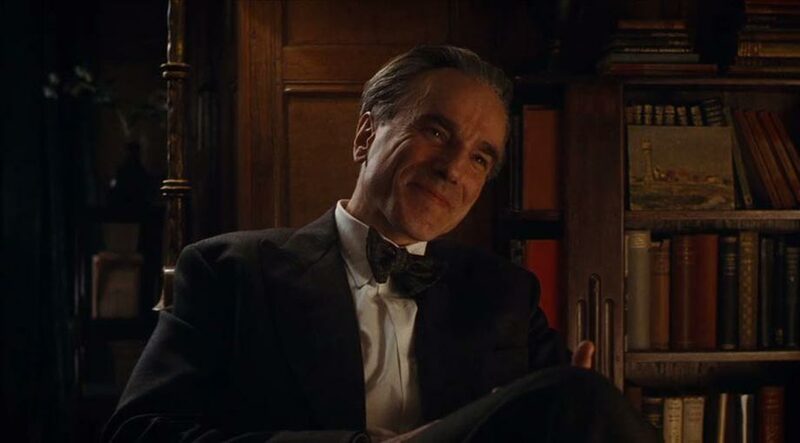 A romantic period drama with Paul Thomas Anderson at the helm, it’s also set to be Daniel Day-Lewis’ final film. It’s the 1950s and Reynolds Woodcock (Daniel Day-Lewis) is one of the leading names in high fashion in London, dressing the likes of the royal family, the biggest filmstars and a variety of famous heiresses and socialites. He’s aided at The House of Woodcock by his sister Cyril (Lesley Manville), though the pair could not be more different. Reynolds is a flighty self-confessed bachelor who sees love as almost a curse on his work. His life has seen too many women flit in and out of it, but when he meets the pretty yet headstrong Alma (Vicky Krieps), a woman several years his junior, he begins to feel as if he’s found the perfect relationship. Unfortunately, he truly sees Alma as more of a muse than a wife figure, and very soon she grows tired of the constant meticulousness of Reynolds’ style, and his unwillingness to let her find her own image. Her stubbornness and independent nature starts to disrupt every part of his rigorous lifestyle, and a combination of jealousy and frustration leads him on a more compicated road than he could ever have imagined. ‘Phantom Thread’ is the latest venture from the Academy Award nominated filmmaker Paul Thomas Anderson (‘Inherent Vice’, ‘The Master’, ‘There Will Be Blood’). He is also credited as the cinematographer, in the film marks his fourth collaboration with Radiohead’s Jonny Greenwood as the composer. The movie has already won two awards from the National Board of Review including Best Screenplay and Top Films, with the New York Film Critics Circle Awards also offering it a Best Screenplay prize. ‘Phantom Thread’ is set to be released on Christmas Day (December 25th 2017).